The transfer world is filled with madness. And it seemed PES 2011 is trying to replicate reality in the game! 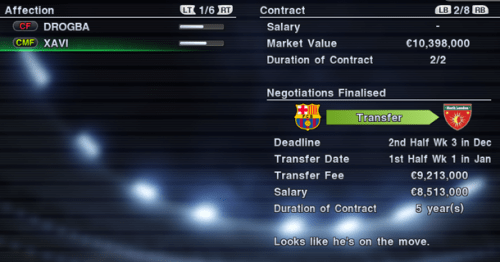 This post is going to be about the absurdity of the transfer world in PES 2011, together with some little ‘tricks’ on how to keep your sanity while dealing with the madness. A search on the internet showed inconsistency in the amount of transfer fees exchanged between AI clubs. There are instances of players moving for $100 million! While on the other side of the spectrum, transfer fees will not exceed $30million, no matter what! Well, in my game, I belong to the latter. World class players are moving for around $10 to $20 million. 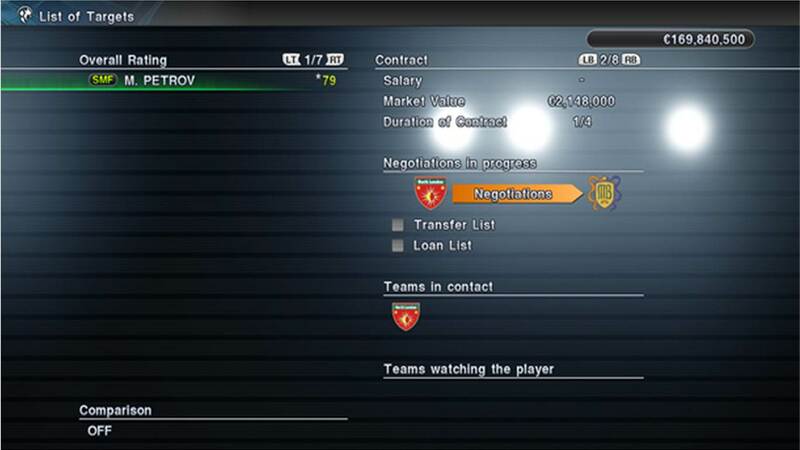 PES 2011 seemed to be lacking a measure of magnitude in terms of transfer fees, or so I thought, until I did a research online and found complains of exorbitant. Perhaps the sky-high fees occured in Master League online? Hmm.. Depending on your level of scout and the prestige of your club, you may find difficulty in purchase certain players. A good strategy will be first, to look for transfer listen players. These players can be easily bought for a price lower than their market value. For non-listed players, I will suggest targeting those who are nearing their end of contract. I managed to purchase Xavi and Ibrahimovic for a price and salart slightly lower than their market value, made possible as they are in their last year of their contract. I guess this mirrors the situation in reality. Ibrahimovic is considered one of my record signing. He came with a high fee and a rating of 97. However, I find that when he is in the team, the team tends to play poorer. Passes are going astray. and my attacking play are not as smooth as before. Things only improved when I sub him out of the game. Again, I find that this mirrors the reality of football, as can be seen in the cae of Shevchenko and Torres in Chelsea, when superstars take time to adapt to their new team. Of course, this will not be the case all the time. 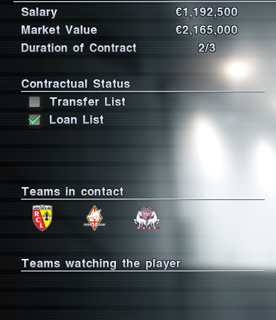 I did purchases Diego Forlan to PSG and he became a consistent performer straight away. I am sure you have a bunch of players whom you could not wait to get rid of, yet no one wants to purchase them! They could be reserve players who are not improving, or simply superstars on a HUGE salary. Transfer-listing them may be an option, yet it does not always attract offers, and even if they do, the fees offered are pathetic. One way to resolve this is to loan these players out. When you do this, just ensure that your loan transfer fee received from the club is higher than what the player is earning from you, or else you are throwing money away at a player who is not even playing for you. Next, to sell players, we may have no choice but to give them some games. Clubs will find it more attractive to sign players with decent performances. Putting a player on the transfer list for more than 1 year, and giving them a couple of games, will usually attract a few offers. To prevent future difficulty in selling, perhaps you might want to offer players a shorter contract. Clubs tend to be interested in players who are nearing the end of their contract. Thus, if you wish to sell a player a year after buying him, you might find it challenging if he still has 3 more years in his contract. One thing that puzzles me is the area under ‘Team in Contact”. All too often, I see news feeds of certain clubs ‘offering my player a mammoth deal’, as well as seeing 4 clubs who appear to be ‘contacting’ my player. But at the end of the transfer window, there are still no offers. Not sure what to make of this. PES Fans, lets hope we can see a major improvement in this area in PES 2012! Hi neo, I know this is unrelated, but any thoughts on pes 2012 demo game play and whether you will continue to update for the new game? Yes I will continue to post my thoughts on PES 2012! Currently trying out the demo! Thanks neo keep up the good work…looking forward to it…ps, new version I feel is a big improvement..
Oh I do not really do that. I will jus sign them in the transfer market. They are pretty cheap and easy to sign! 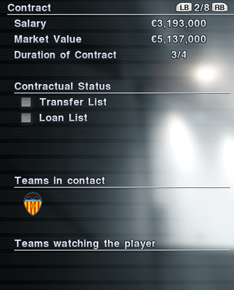 I have to apologise as I have not been updating the transfer activity for PES 2011.